The passage of the Jewish Nation-State Basic Law by Israel’s parliament, the Knesset, has been widely condemned as undermining any claim on Israel’s part to be a liberal democracy. The reality is that Israel has never truly been a liberal democracy that treats all its citizens as equal regardless of race or ethnicity. In a liberal democracy, the state should be officially neutral with respect to the ethnic or cultural identity of its citizens so that members of all ethnic groups enjoy the same citizenship rights. The nation state law makes clear that in Israel only Jews have a right to national self-determination. The law gives no recognition to the rights of 20 percent of Israel’s citizenry who are Palestinians. Yet as civil rights organisation Adalah observes, “There is a difference between racism and racist practices” and a “constitutional mandate” for racism. As a “basic law,” with quasi-constitutional weight, the Jewish nation state law represents the latter. Designed as an emphatic rejection of Palestinian calls for equal status within the state, these measures brazenly entrench Jewish privilege, codifying in law the longstanding institutionalised discrimination faced by Palestinian citizens. The new law builds upon an extensive range of discriminatory laws – more than 60 according to Adalah – that pertain to all areas of life, including land, education, family unification, residency rights and housing. One stark example is the Admission Committees Law passed in 2011 that allows small towns and villages in Israel to remain Jewish-only, preventing Palestinian citizens from settling there on the basis they would disrupt the social and cultural harmony of the community. This makes constitutional existing policies that seek not just to preserve Jewish-only settlement but to prevent the growth of Palestinian communities inside Israel and promote the practice of demolishing Palestinian towns and villages to make way for new Jewish settlements. The law also extends to Israel’s control over the West Bank and East Jerusalem and so adds constitutional weight to the destruction of Palestinian towns and villages in the occupied territories and the growth of Jewish settlements in defiance of international law. Israel and its advocates have long claimed there is no incompatibility between Israel being a democracy and being a Jewish state, despite the copious evidence of the laws and policies that have always undermined the state’s democratic credentials. This bill makes clear that Israel’s call to be recognised as a Jewish state means, in reality, to be recognised as a state that has a right to maintain a Jewish majority and privileges the rights of that majority above other citizens. 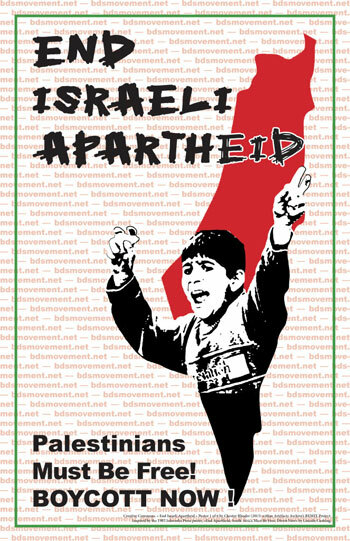 It further emphasises why the campaign for the realisation of Palestinian rights cannot be simply a campaign to end the 1967 occupation of Gaza, East Jerusalem and the West Bank but rather a call for liberation from an unjust system of power that denies rights to Palestinians living under occupation, to Palestinians living as citizens of Israel and to Palestinian refugees denied the right of return. Finally, it reaffirms the need to understand and identify correctly the nature of the unjust system of power that denies Palestinians their rights. A law that is designed to maintain the supremacy of one group of citizens over another within a state, that divides citizens on the basis of their ethnic, racial or cultural identity, is an apartheid law. There is an irony that the nation state law was passed at the same time as a debate rages in Britain over the Labour Party’s adoption of a code of conduct to deal with anti-Semitism, that amends some of the controversial examples contained in the guidance attached to the International Holocaust Remembrance Alliance definition. One of the key examples in contention is the clause that states it is anti-Semitic to describe the existence of the state of Israel as a racist endeavour. This clause has been used by pro-Israel advocates in Britain to state that calling Israel an apartheid state is anti-Semitic. The passing of the nation state law should re-emphasise the need to assert not just the legitimacy of describing Israel in this way but the accuracy. On November 3 the Palestine Solidarity Campaign will host a conference in London bringing together international scholars to explain the many ways in which Israel’s laws and policies including the pernicious new law meet the definition of apartheid. The task for all who support the Palestinian struggle for freedom, justice and equality as part of the wider struggle against racism in all of its forms is not just to help explain the nature of that injustice but to campaign against it. That demands support for the Palestinian call for Boycott Divestment and Sanctions (BDS) in support of a future where the rights of all are protected irrespective of ethnicity, religion, nationality or race.